The April Regular Board of Education Meeting was rescheduled from 4/10 to 4/17. The Board voted at the Regular Meeting in March to move the April meeting in order to ensure election results are certified. 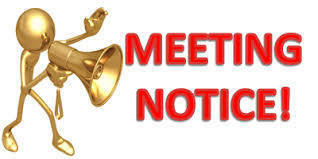 The April meeting will take place at 7:00 PM on April 17, 2019 in the High School Auditorium.